The WHMCS module is a fully featured sales add-on for your WHMCS account to sell all of LuxCloud’s premium cloud services through your own WHMCS store, under your own brand. 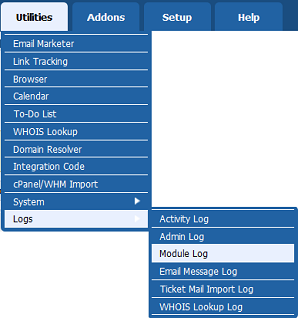 The setup for the WHMCS add-on module is fully automated and a comprehensive manual is also provided. This way we enable you to expand your current cloud offering and start selling all of our cloud solutions in just 1 business day. Increase you income! Offer cloud services to your SMB customers through your own WHMCS CloudStore. WHMCS is the leading web hosting automation platform. Handling signups, provisioning, billing and support for online businesses to purchase and administer their own services to their customers. Check out the WHMCS LuxCloud setup guide. We have released version 3 of the LuxCloud WHMCS Module to improve the existing plugin and to support WHMCS 7 and PHP 7. Installation guides for older module versions are available from the Download Area. For WHMCS 7 in combination with PHP 5.6+. For older versions of WHMCS. This version is not compatible with WHMCS 7 and/or PHP 7. Is the WHMCS server able to connect outgoing on ports 443 and 80? Try the following command from the command prompt of the server telnet api.luxcloud.net 443, if you receive a response the server this is not blocking. If not, you probably have a firewall setting preventing you from making outbound connections. Check that the “API secure connection” box is selected. If you however do see a selection box next to the Service Plan ID then the communication was successful and you can continue configuration. First open the Module Logs. Make sure the Enable Debug Logging function is on. Then, check the logging marked with LuxCloud. The left box contains the request send to the server; the right box contains the answer. When opening a ticket always enclose both request and response. Does LuxCloud need to open its API for us based on IP address? No. The API is publicly available. Authentication is done via username/password and token verification. Where can I find the LuxCloud list prices (prices without the partner discount)? Latest prices can be found in the Partner Portal under the tile “Pricelist” in the main screen. How do I get my token? Login with the credentials you received after signup. Clicking on the “Account” tile in the left group of tiles. Clicking on the “Generate token for API”.